It sounds like a long way off, though. Microsoft’s rumored Home Hub was once thought to be a device rivaling Amazon Echo or Google Home. A new report suggests it will instead be a Windows 10 software service aimed at families, complete with a new Cortana assistant that will run on upcoming Windows 10 PCs. Just like in real families, Home Hub will put an emphasis on sharing, according to the source of the report, Windows Central. The site said it would have a communal, interactive calendar, presumably touch-based like Windows 10’s current Calendar app. 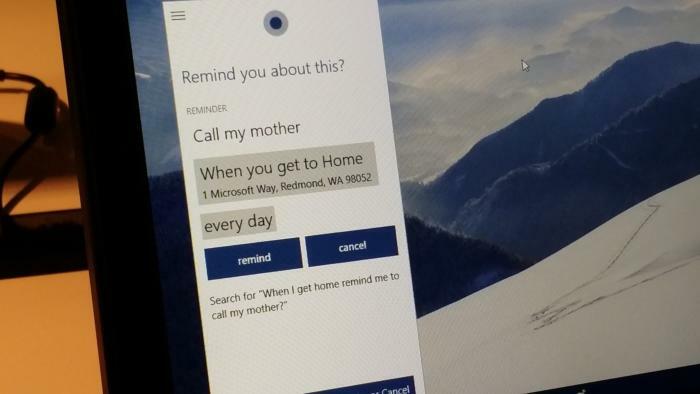 Microsoft may also be planning to create a family-friendly version of its Cortana digital assistant that will be the primary, voice-driven interface. According to the site, the new Cortana—code-named “FamTana”—will surround her classic blue circle with an orange one, to signal users that they’re on a shared service. The company has quietly tried to establish itself as a smart home player since its HomeOS project of 2010, an Insteon partnership in 2014, and an agreement to implement the Open Connectivity Foundation (OCF) protocols for connected devices when they roll out next year. 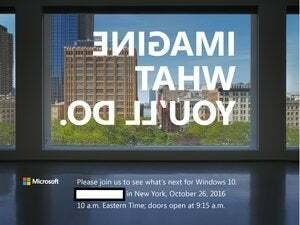 WIndows Central hedges its bets by noting that the technology is expected to roll out in stages across 2017, concurrent with the next iterations of Windows 10 (namely, the “Redstone” updates due next year), and perhaps continue developing into 2018. By this reckoning, Home Hub’s final form won’t take shape for months. It's also possible Microsoft will introduce new hardware that works with the Home Hub. According to Windows Central, they wouldn’t be the slim appliances of its competitors, but essentially repurposed all-in-ones, presumably quite a bit cheaper than the Surface Studio. Why this matters: While the scope of Microsoft’s efforts merits discussion, the timing is troubling. 2017? 2018? That would place Home Hub even further behind Amazon and Google's own home appliances. Home Hub sounds technically interesting, but the business aspects will be a challenge—not the least of which will be to convince consumers to buy a large, touch-based PC versus a cheap Echo Dot.